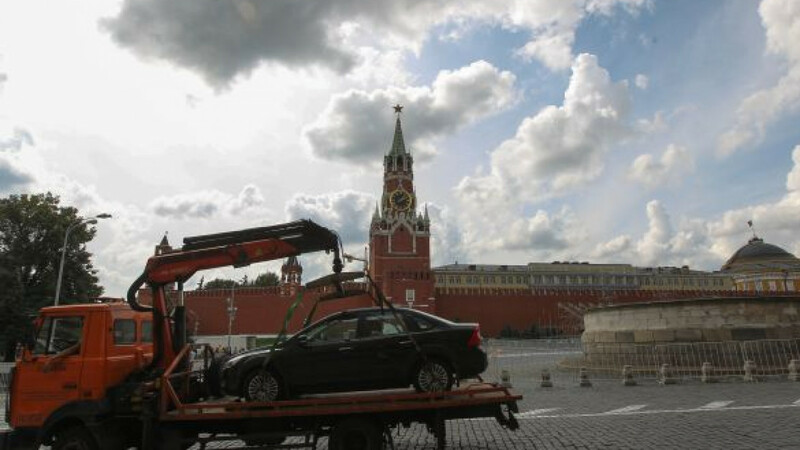 Drivers whose cars are hauled away because they are illegally parked are now being charged 3,000 rubles ($90) for that service. The city began charging the fee starting this Sunday, Autorambler.ru reported. It was supposed to have been implemented on July 1. Car owners will not be charged for the first 24 hours a vehicle remains on the tow yard's parking lot. After that, the fee will be 1,000 rubles for each 24 hours. The city expects to move about 1,300 cars to the tow yard every day, said Igor Kuznetsov, chief of the city's parking space. As of now, 100 evakuatori — specialized trucks designed to haul away cars — are working in the city, but that number is expected to increase to 305 units by the end of the year.